This is the money saving guide you've been waiting for. 500+ Ways to Save Money is for beginning and experienced savers alike. Even with well-paying jobs, Mike Yarlett spent everything he made. Losing his job during the Great Recession was his financial wake-up call. Mike finally quit fooling around and began managing and investing his cash. Now in his mid-50s, he is debt free and building a retirement portfolio that will easily sustain him and his family in the coming years. 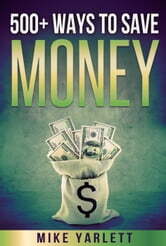 This book will help you escape the financial blunders Mike made. 500+ Ways to Save Money is an easy to read money-saving guide. Every tip is short and easy to understand. The tips cover food, housing, clothing, recreation, health care, and much more! In this book you'll learn how to have a satisfying life free from the stress of bills and debts! 500+ Ways to Save Money will help you successfully save more money, so you won't have to live paycheck to paycheck. 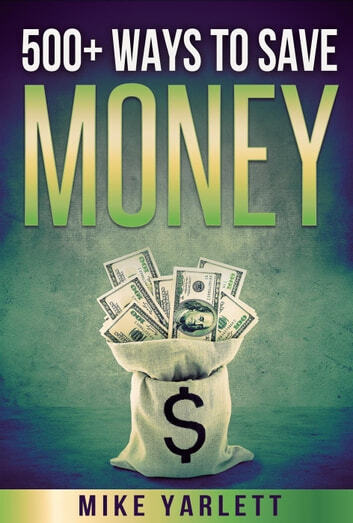 Whether you only want a few or many tips, this book can help you increase your wealth. Who Knew? Lower My Bills! How to Save Money and Live Your Life Comfortably! It was really helpful. Great tips. Im going to go try it when I get home. I enjoyed reading this book even though it is American and i am from Australia. But still some great tips.